A month or so back, I came across an article discussing how many large companies and consumers are being victimized by fraudulent websites. One company specifically mentioned was Swarovski. And the number of fake websites modeling theirs is growing. Sadly enough, consumers and Swarovski crystal fanatics looking for a great deal on their favorite figurines and jewelry are likely to only end up with headaches and frustrated for weeks or months until the matter is closed. The scenario is this….. a fraudster group of individuals picks a brand to target, in this case Swarovski. They purchase a domain name (less than $50 for one year) that any normal internet user might believe is the official Swarovski brand. Then the scammers get to work building the website (or pay to have it done). Oftentimes, this heartless group will steal images, artwork, logos, and other material directly from the luxury brand’s own web site! 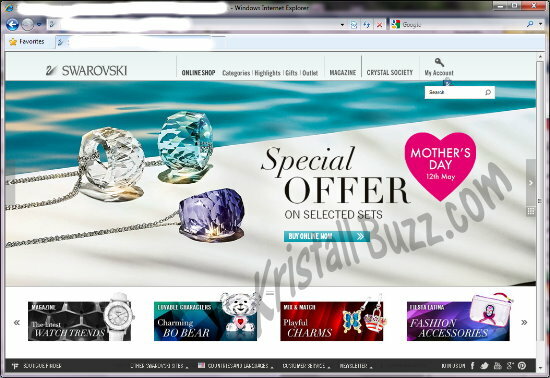 On the fake Swarovski websites, the prices will be so slashed, that it might be hard to resist. The web site looks real. The images are indeed Swarovski products. The prices look great. Why not! Well, the ‘Why Not?’ should be easy…..if it looks too good to be true, then it probably is too good to be true. Just for kicks, I picked a non-official website, and began the process to place an order. When I picked to pay by credit card, I was transferred to a 3rd party payment domain owned by an individual or company in China. I switched my method of payment to Western Union, and saw that the recipient address displayed was again in China. So, lastly I selected Bank Transfer, and again, the recipient information shows a destination in China. Might this be an indicator of a Swarovski scam? Certainly so! 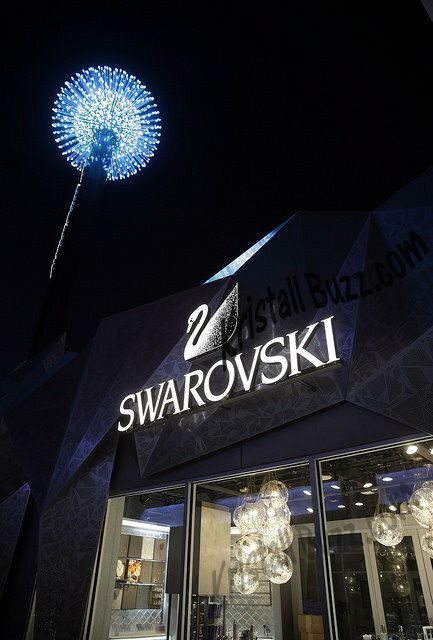 After all, the official Swarovski brand is NOT in China! Is this the luxury brand’s official web site……? Is this an official Swarovski website? Or Is this the luxury brand’s official web site……? 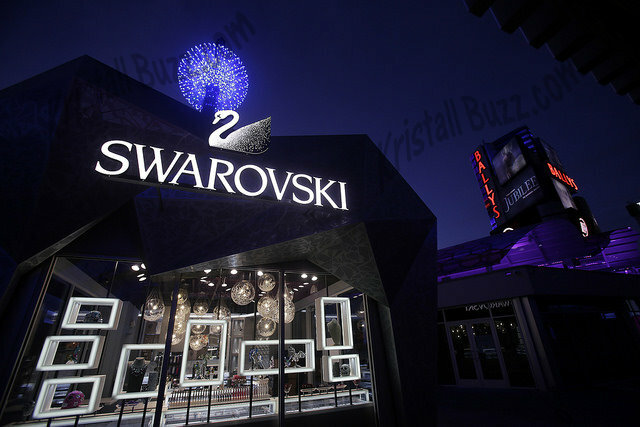 Naturally, Swarovski’s legal team goes after cyber-squatters whose sole purpose is to defraud consumers. 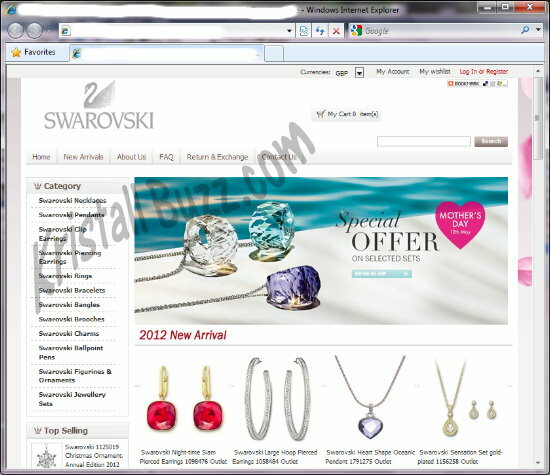 Here is one such domain name that Swarovski has claimed: www.swarovski-sale.com . From various sites where consumers report scams, this domain name appeared numerous times, so it was very wise for the crystal giant to display a blank page instead of the official Swarovski website. Having emails that don’t use the domain name itself, i.e. Swarovski-deal @ xyz-mail.com . In some cases, there is no email at all. They use a ‘contact us’ form that essentially does nothing. Swarovski crystal collectors and those who enjoy Swarovski jewelry should stick with reliable sources. Don’t become a victim of Swarovski fraud. Send emails to the website company for more information about their guarantees and return policies to ensure you are dealing with a legitimate company. Follow your instinct; if it seems fishy, it probably is fishy. Crystal collectors can count on the Swarovski Experts at Crystal Exchange America to ensure the figurines purchased from them are indeed genuine Swarovski. 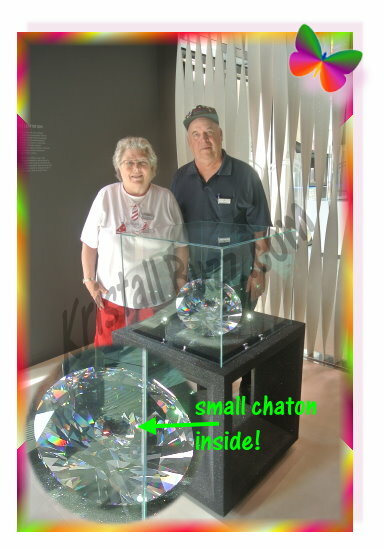 Check out the Crystal Exchange America website at www.CrystalExchange.com for retired and hard to find Swarovski figurines. Last year, Swarovski launched 2 Skull figurines as a part of the Soulmates group. They are unique, and the crystal fanatics that have talked to us, don’t seem to want the Swarovski Skulls in their crystal cabinet. After release of the Skull figurines, Swarovski began releasing men’s jewelry with the Skull motif: pendants, cufflinks, keyrings, and more. I found a total of 21 product offerings in the online Swarovski Shoppe when I queried “Skull”. Recently, I found another Skull item in their store with some integrated technology. And it’s an Online Limited Edition! 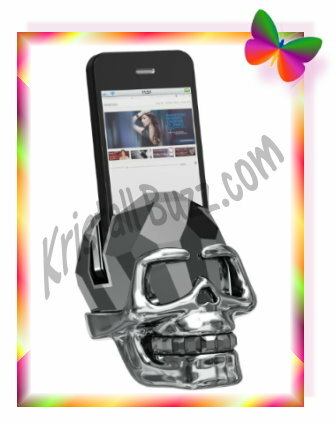 As the title of our article reveals, it is an iPhone 4 and 4S Swarovski N the Skull Docking Station. Limited to just 199 pieces, this unique fashion accessory makes a very special gift for modern men. Perfect for charging or transferring data to your phone, it comes with a USB cable and is compatible with the iPhone® 4 and 4S (iPhone® is a trademark of Apple Inc). The skull shines darkly in Jet Hematite crystal with a ruthenium finish metal face. It is engraved with the individual Limited Edition number. It’s a good thing that Swarovski didn’t make too many of these….when the iPhone 5 was released in September, Apple changed the charging port from a 30-pin adapter to a “lightning” adapter. That means that the Swarovski iPhone Skull will not work with the newest iPhone 5 models. If you have the older iPhone 4 or 4S and are considering the purchase of a Swarovski charging station, the Swarovski Skull charger will set you back a mere $1100. But act quickly as less than 200 N the Skull Docking Station, Swarovski Limited Online Edition are available at their web site! The Swarovski Crystal Journey 2012 has concluded its trip, sad for the lucky crystal fanatics aboard. It would have been the experience of a lifetime to be part of the trip! Martin Zendron is credited with over 70 designs, including the Swarovski NLE Wild Horses and 5 Swarovski AE figurines: Swarovski Elephant, Swarovski Unicorn, Swarovski Antonio, and Swarovski Harmony (clear and colored). Adi Stocker is credited with over 100 designs, including 3 Swarovski NLE: Swarovski Eagle, Swarovski Peacock, and Swarovski Bull; and 6 Swarovski AE: Swarovski Woodpeckers, Swarovski Turtledoves, Swarovski Lion, Swarovski Pegasus, Swarovski Pierrot, and Swarovski Isadora. Gabriele Stamey is credited with over 70 designs, including 2 Swarovski AE: Swarovski Dragon and Swarovski Columbine, as well as 2 Swarovski SCS Commemorative Editions: Swarovski 5th Anniversary Birthday Cake and Swarovski Vase of Roses. 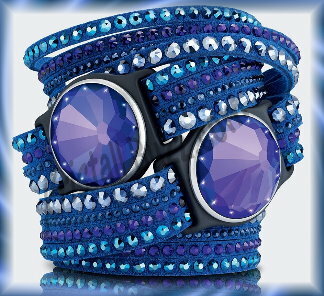 During this gathering, it was hinted that Swarovski may cease to try reviving older designs by adding color as this concept is not all that popular with collectors. I, for one, completely agree. To me, it’s like taking plaid bell bottoms from the 70’s and changing the plaid to polka dots and wanting people to wear them again! Hopefully, we can get a few more pictures and information from the final hours of the Swarovski 2012 Crystal Journey. It has been reported that there is a crystal stowaway on the Swarovski Crystal Journey! Fortunately, the stowaway is a Swarovski Masterpiece, and not something unpleasant. So, what exactly is the stowaway? It is a Swarovski Pointiage Swan. This swan is approximately 16.5 cm in length, 10.5 cm high, and weights about 1.215 grams. Besides the size, and roaming locations of the Pointiage Swan, here are some other facts we have on it. The Swarovski Pointiage Swan is a Limited Edition of 25 units. More than 33,350 stones were used to assemble it, which commemorates the 25th anniversary of the Swarovski SCS Club. The designer of this Masterpiece Swan is Anton Hirzinger. This Swarovski Swan is being auctioned off at the end of the Swarovski Crystal Journey. The minimum bid is 4,000 Euro, which is approximately $5,025 USD. It will be interesting to find out the winning bid (if it sells). Hopefully we will get that information at the conclusion of the trip. Best of luck to all Swarovski crystal fanatics who participate in the bidding! Hopefully, we can get a few more pictures and information from the final hours of the 2012 Crystal Journey. Be sure to check the Kristall Buzz frequently for the duration of the week-long cruise for a brief digest of what is happening on the Swarovski Crystal Journey! The Swarovski Crystal Journey 2012 group continued on the cruise and tours. On August 22, some crystal fanatics visited the Swarovski flagship store in Vienna. The store is a massive 3 floors! One well-known display at this location is the collection of 45 Eclectic Panthers. And there are other articles that can be found using the term ‘eclectic’ in the search box in the upper right corner of the browser window. Another interesting display at the flagship store is a truly giant Chaton. This chaton measures about 11” in diameter. If you look at the zoomed in embedded photo, a smaller chaton can be seen inside of the giant chaton! 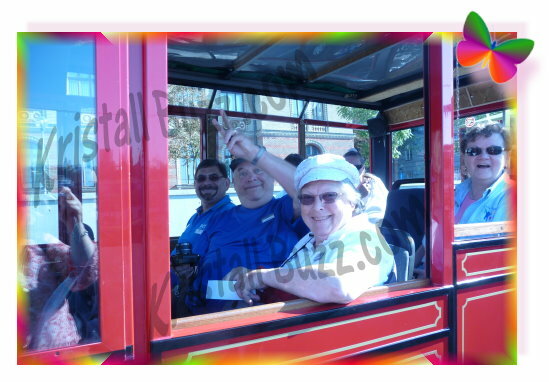 Be sure to check the Kristall Buzz frequently for the duration of the week-long cruise for a brief digest of die-hard collectors are enjoying on the 2012 Swarovski Crystal Journey! Swarovski fanatics on board the Tui Melodia continue their Crystal Journey with Swarovski representatives and fellow die-hard Swarovski collectors. The estimate we heard was that there are about 120 people on this Swarovksi Crystal Journey celebration cruise. On August 19, some cruisers toured Bratislava on an old timer mini bus. Some of the stores seen include: a Swarovski Boutique, and another store displaying very glittery (Swarovski?) formal wear. 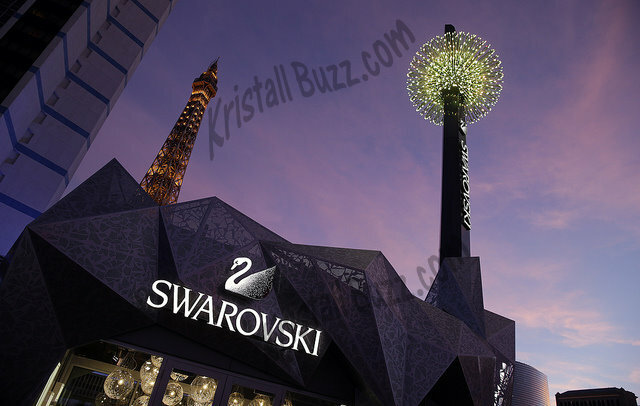 Be sure to check the Kristall Buzz frequently this week for a brief digest of the fun things happening on the Swarovski Crystal Journey! Swarovski has organized cruises several times for Swarovski collectors world-wide to come together buzzing about their common interest in Swarovski crystal. In 2012, Swarovski planned another commemorative cruise, celebrating 25 years of the SCS. This Swarovski Crystal Journey began August 17. 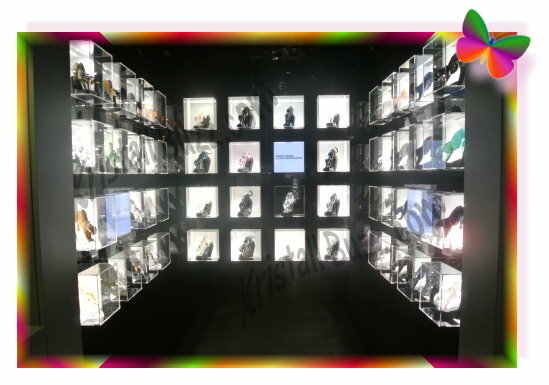 We know a couple of dedicated Swarovski fanatics, lucky enough to be on the cruise, who are providing us with cruise updates to share with our Kristall Buzz readers! On Friday, guests were welcomed on board the TUI Melodia by Swarovski representatives Karin and Christine. Gifts for the cruise attendees include: a Medium Swan, USB Writing Pen, a small crystal on a ribbon, and the 2012 Baby Whale, signed by the designer. Saturday, some of cruise attendees selected to go on an optional side tour to Budapest. Tourists stopped at Heroes’ Square and learned more about this historic location. Be sure to check the Kristall Buzz Swarovski Blog frequently for the duration of the week-long cruise for a brief digest of what is happening on the Swarovski Crystal Journey! 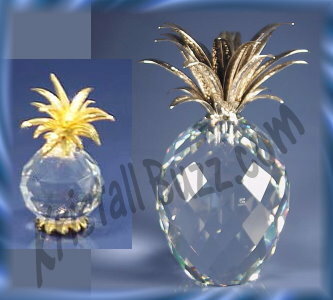 Here at Crystal Exchange America, we occasionally see figurines produced by Swarovski that have not been previously documented in publications written about Swarovski crystal figurines. Not long ago, one such undocumented figurine, a Trimlite Bear, appeared in a collection that arrived here on consignment. 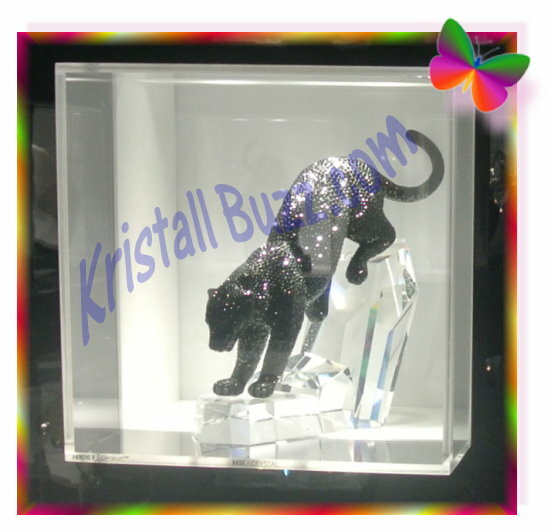 This recent Swarovski figurine is a crystal bear that very much resembles the Trimlite Bears that were sold in the Zales and Dillards stores in the 1980’s and 1990’s. This newly discovered bear is approximately 1.5”’ tall. This bear, like many other Zales / Dillards bears, has a crystal head, crystal body, and gold-colored accents for the hat, scarf, and paws. This Trimlite bear is wearing a baseball cap covering his left ear and slightly tipped on his head. The bear is holding 3 red tulips in his right hand / paw. Around his neck, he is wearing a gold bow. This bear features the Trimlite “T” logo confirming its authenticity in the gold trim underneath the body. 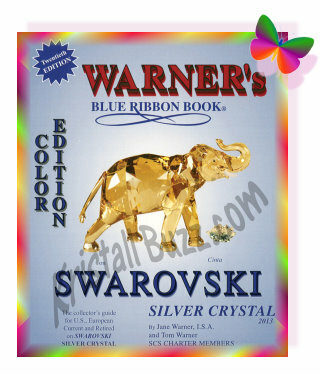 This Trimlite bear will be a new addition to the 2013 Warner’s Blue Ribbon Books on Swarovski: Beyond Silver Crystal Book. Jane Warner indicates that it will be referenced using BSC2012010 in the next edition, to be released in about 8 more months. There are presently about 15 Zales / Dillards figurines in the book. Other Dillards / Zales bears may be found hold flowers, a candy cane, or nothing. Some bears wear bows, bonnets, or santa-type hats. Some wear bows, scarves, or bow-ties on their neck. The new baseball-tulip Trimlite Bear will be available for purchase from Crystal Exchange America in the coming weeks. The company will be checking with other Swarovski expert dealers and stores in an attempt to establish a fair selling price which is attractive to the buyer and gainful to the seller for the unusual bear figurine. 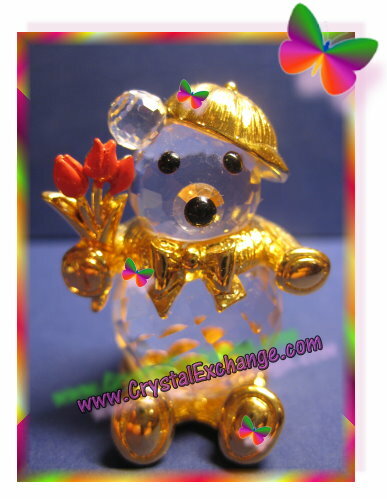 Crystal Exchange presently has a listing for the Trimlite Dillard Zales Bear “Twinkles the Sparkling Bear” on Ebay, with a Buy It Now price of $59 with FREE shipping. Other Trimite bear figurines previously seen in the online auctions include “Joey Jingles” and “Holly”. Both Holly and Joey Jingles are presently available at Crystal Exchange America near $125 each. Swarovski crystal fanatics should check the site after the next inventory update near the end of August for availability. Collectors can use the search feature to quickly find the figurine using search term ‘BSC2012010’. Last week I posted about the 2012 Releases in the Swarovski Hello Kitty product line. In the post, I included size information taken directly from the crystal brand’s own web site, but included my own questions about the accuracy of the Hello Kitty dimensions as the price seemed incredibly low for such big crystal figurines. Swarovski Hello Kitty Limited Edition 2012 (in Pointiage) – 7 inches high x 4.8 wide x 4.4 deep. This one is the Hello Kitty figurine with the highest price tag! Swarovski Hello Kitty Hearts, Limited Edition 2012 – 4 1/4 inches high and 2 15/16 wide. This one is the largest Hello Kitty “crystal figurine”. The email did not state when the web site would be updated with correct dimensions, so make a mental note of these sizes before placing your final order at the Swarovski Shoppe to avoid size-disappointment. All Hello Kitty Swarovski fanatics can head on over to the Swarovski site for more information about the figurines and place their orders!